How is burrata really made? Burrata, one of Italy’s most exquisite creations! 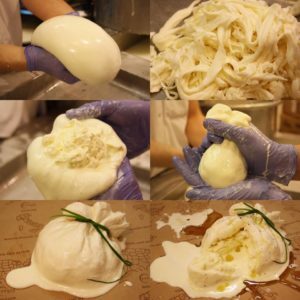 Want to learn how burrata is made? 1. Start from fresh mozzarella. 2. 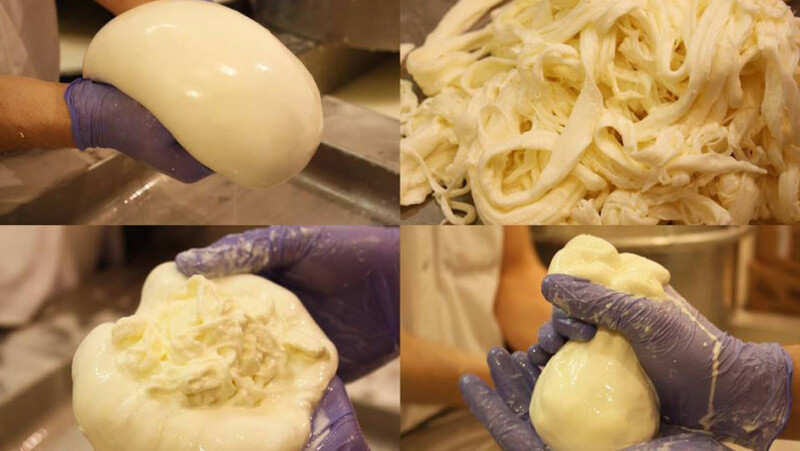 Create the ”stracciatella” by tearing the mozzarella. 3. Add heavy milk cream to the stracciatella, and place it on a piece of stretched mozzarella. 5. Mold into a ball and tie it. 6. Serve with olive oil, salt and pepper. Come to taste some on our Food Tour!